When organizers for the 3rd Annual Cruise Blues & Brews Festival approached legendary local blues performer Ramblin’ Dan Stevens, they received immediate and enthusiastic support. Stevens had the connections and the passion to recruit top blues talent for this unique festival to benefit the At-Risk Boys Fund at the Community Foundation of Middlesex County. “As soon as I was asked to help, I was confident my friends at the Connecticut Blues Society and fellow Blues musicians would want to help this important cause, and have a lot of fun doing it too” says Dan Stevens. Turns out, Dan was right. Ed Stack, Connecticut Blues Society President, promptly started promoting the Cruise Blues & Brews Festival to all the Society’s members to help boost attendance and raise more money for the At-Risk Boys Fund. Stevens’ Blues musician friends were quick to respond too. One by one seven bands agreed to perform on the Festival Stage between 10 AM and 4 PM. “We’ve got some of the best blues artist in Connecticut, many of whom have represented our state at the International Blues Challenge in Memphis TN, with several advancing to the finals. I’m so grateful they agreed to help in raising money and awareness for this great cause” says Stevens. Here is the list of bands schedule to play: Frank Breen, Traditional Acoustic Blues; Peter Magrane and the Drive by Blues Band, Upbeat Ragtime & originals; Blues on the Rocks, Genuine Blues; Ramblin’ Dan Stevens and the Fiery Band, Eclectic Fingerstyle Blues, Slide & originals; Jake Kulak and The Lowdown featuring Braiden Sunshine, a collaboration between award winning 17 year old blues Phenom Jake Kulak and finalist on The Voice, Braiden Sunshine; Ryan Hartt and Tom Ferraro, New England Blues super group. In addition to live performance by these top Blues musicians the Cruise Blues & Brews Festival will also feature hundreds of antique and unique cars on display, a food court with a variety of up-scale food trucks, locally brewed craft beer by on tap by Thimble Island Brewery, a market place of vendors, a kids play area, trophies, games and prizes. “Thanks to Ramblin’ Dan Stevens, we have more than doubled the number of blues bands for this year, and that is a really big deal for us” says Bill Guerra, Volunteer Chairman of the Festival. 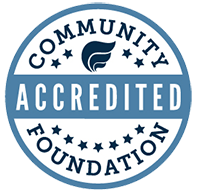 “Established only four years ago, The At-Risk Boys fund has awarded over $61,000 in grants to organizations, throughout Middlesex County. These grants have helped hundreds of boys and young men achieve success and a better life”, Guerra added. 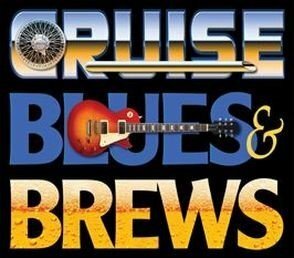 The 3rd Annual Cruise Blues & Brews Festival will be held Saturday, September 30, 2017, 10 AM to 4 PM (rain date, Sunday, October 1), at the Chester Fair Grounds. Admission: $5 donation, children under 12 free. To learn more about this Festival, buy tickets in advance or make a donation to the At-Risk Boys Fund of the Community Foundation of Middlesex County please visit: www.atriskboysfund.org . Tickets may also be purchased at the gate during the Festival.